Happy Hump Day! 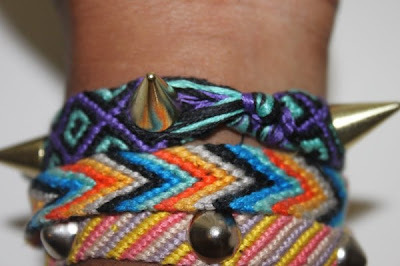 I'm super busy today... too much to do an extensive post, but just wanted to share this cool do-it-yourself spiked bracelet tutorial I found online. I've seen similar ones in stores for $50, but you can make yours for super cheap. Check it out here on the Taylor & Demolish blog. Let me know if you make one and how yours turns out!